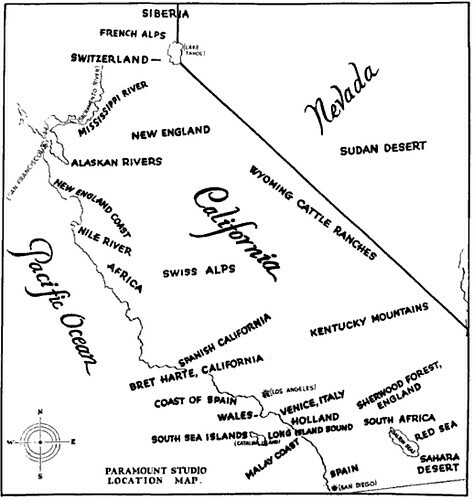 It’s an old “Paramount Studio map of California’s geographical facsimiles”—that is, places that can stand in for other places. Siberia! Switzerland! Africa! What a state!